To make up for my MIA episode, I just have to share the most delicious, plate-lickingly divine cheesecake recipe. 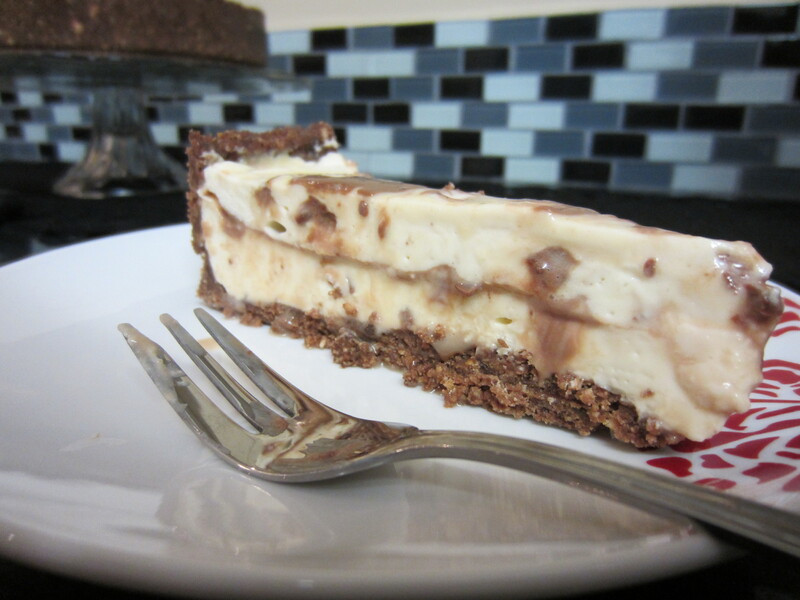 I’ve had my fair share of cheesecakes in my time (which isn’t as long as I’m making it sound…seriously) and this sits comfortable on the top shelf of AMAZING! I found it incredibly fun to make, from the sweet golden butterscotch and velvety chocolate sauce to the fluffy cream cheese mixture filled with bits of bar-one, it’s quite a treat. One slice will definitely hit the spot for every sweet tooth out their. 1. Blend biscuits into breadcrumbs and add butter to combine. Press biscuit mixture into a 20cm tin (bottom and sides or just bottom). Cover and refrigerate till firm. 2. 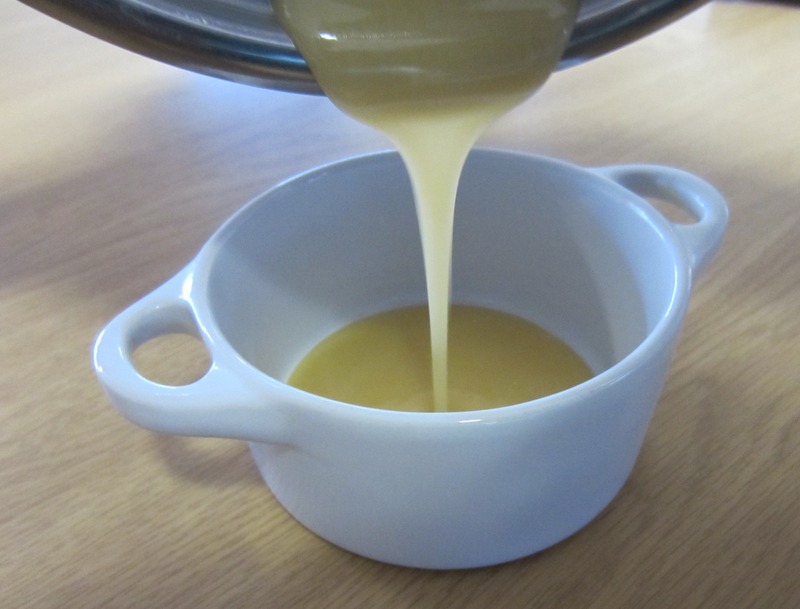 Combine brown sugar with the 20g extra butter and 2tbs cream in small saucepan, heat on low until sugar dissolves to make butterscotch sauce. 3. 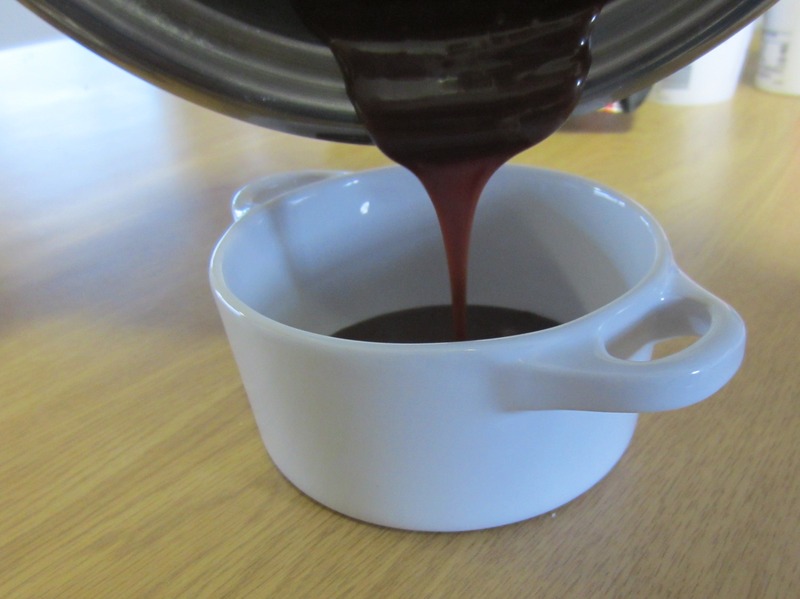 Combine chocolate and 2 tablespoons of cream in small saucepan and stir over low heat until chocolate melts to make chocolate sauce. 4. Sprinkle gelatine over water in a small bowl over simmering water. Stir until gelatine dissolves. Cool for 5 minutes. 5. Beat cheese and castor sugar in medium bowl until smooth. Beat remaining cream in another bowl until soft peaks form. Stir slightly warm gelatine into cheese mixture and add in Bar-One and fold in cream. 6. 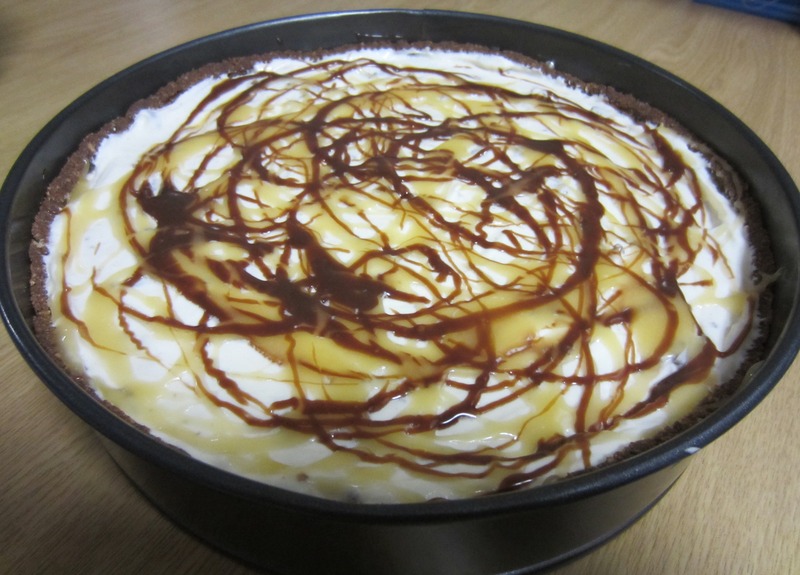 Pour half cheese mixture into prepared tin and drizzle half butterscotch and half chocolate sauce over cheese mixture. Repeat the process with remaining cheese mixture and sauces. 7. Cover and refrigerate for at least three hours or until set but best to make the day before. Thank you so much, not being much of a baker this was easy to follow and loved by the family, especially seen I did not make a flop of it. That’s great Carole! 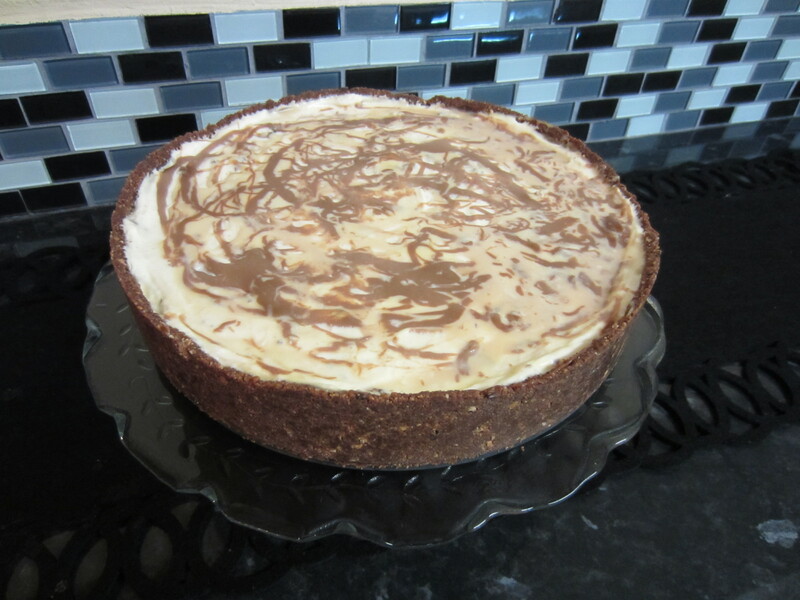 This has to be one of my favourite cheesecake recipes ever, absolutely divine. Glad your family enjoyed it too! I have mini dark chocolate cups and was thinking of filling them with the bar one cheesecake. Do you think it will be a good idea or too rich? Also I hate fridge cheesecakes where the texture is like firm jelly rather than a thick clotted creamy cheese. Can you explain the actual texture of the cheesecake for my benefit if you don’t mind? Thanks in advance! Hi 🙂 the cheesecake is quite rich so filling it in the mini dark chocolate cups might be a bit over a sweet overload, but it depends entirely on you. I hate those jelly-like cheesecake textures too, this recipe makes a delicious creamy (firm enough to keep it’s shape) texture. Try it out and let me know what you think about it 🙂 always a pleasure! Thanks so much for the info, can’t wait to make this. I will let you know how it turns out.